Sixty-five years ago this Purim, Jews gathered in their synagogues to read the ancient story of a decree of genocide that was narrowly averted. The opening passages of the Megillah must have seemed all too real to American Jews in March 1943, just three months after the Allies confirmed that the Germans were engaged in the systematic annihilation of Europe’s Jews. What U.S. Jews did not know, however, was that behind the scenes in Washington, that same Purim weekend, a senior State Department official was working overtime to ensure the U.S. would not rescue Jews seeking to flee the modern-day Haman. In early 1943, the British government, under pressure from pro-refugee Members of Parliament and others, suggested to the Roosevelt administration that they convene an Anglo-American conference to discuss the refugee problem. The man whom President Franklin Roosevelt had chosen to oversee U.S. refugee policy was Assistant Secretary of State Breckinridge Long (1881-1958). Long was a vehement opponent of immigration, and his diaries reveal him to have harbored antisemitic sentiments. It was Long who, back in 1941, instructed U.S. consuls abroad to “postpone and postpone and postpone” granting visas to refugees trying to escape Hitler. As a result, the U.S. immigration quotas were almost never filled. Nearly 190,000 immigration slots were left unused during the Hitler years. Long’s diaries, which were published after the war, reveal how, on the weekend of Purim in 1943, lobbied to prevent the U.S. from saving Jews from the German Haman. The British had suggested that the refugee conference be held in Washington. Long strongly opposed that proposal, because, as he wrote, “to talk here would put us in a bad position [with] publicity in the press and all the pressure which would be coming from the locally organized [pro-refugee] groups in this country.” The very idea of discussing the refugee problem annoyed Long, who saw the issue as “a departure from [the] military and win-the-war efforts” on which the U.S. should focus. With obvious satisfaction, Long noted in his diary that the British “tried to put responsibility and embarrassment on our laps. Now they have the baby again.” Instead of thinking up ways to help the refugees, Long was busy thinking up ways to shift the blame to London and keep the refugee problem as far away as possible. And his efforts worked. The British and Americans decided to hold the conference on the island of Bermuda, far from the prying eyes of the media and American Jewry. Eventually, as in the days of Haman, someone would rise up to save the Jews. In ancient Persia, the savior was Queen Esther. Her protests brought about the downfall of Haman, in time to rescue the Jews from genocide. In modern day Washington, it was a Treasury Department official named Josiah E. DuBois, Jr., who would blow the whistle on the State Department’s obstruction of rescue, bring about Breckinridge Long’s downfall, and force FDR to belatedly create the War Refugee Board. 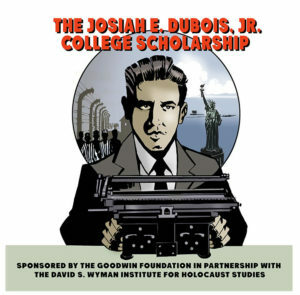 Unfortunately, by the time DuBois discovered what was happening and was able to engineer U.S. intervention, it was, as he later put it, “too damned late to do too much.” Millions of European Jews were already dead. Still, there is no gainsaying the remarkable fact that DuBois’s efforts helped bring about the War Refugee Board’s rescue of some 200,000 Jews in the final months of the war. Given the obstacles he faced, that was no mean feat.